People for the Ethical Treatment of Animals released graphic video Tuesday from its undercover investigation into angora farms in China. Over the course of four months the organization went to nine different farms. In the video, the rabbits' high-pitched screams can be heard as farmers rip out their wool until the animal is bald. The rabbits are then thrown back into their cage and appear to be stunned and in shock. PETA says the farmers repeat this process every 70-75 days and about 60 percent of rabbits that are tormented this way die after one to two years. "This angora fur is highly prized. And the farmers rip it out this way because they can get a higher price by selling the entire length of the fur rather than just sheering it," said Kathy Guillermo, Senior Vice President of PETA. In the United States, American angora breeders said they disagree with the methods these farmers use. "It makes me want to go vomit. I mean that was pretty rough," said Melissa Deitrich after watching PETA's video. 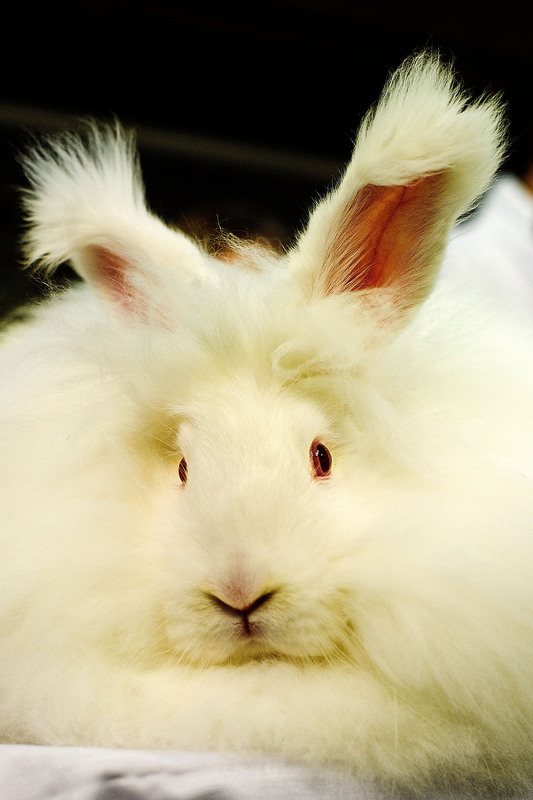 Deitrich is an angora breeder and member of the National Angora Rabbit Breeders Club (NARBC). She says she uses the gentle and painless methods of plucking, sheering and cutting her rabbits. Even though breeders like Deitrich use humane practices for gather her rabbit's wool, the United States angora production is incredibly small compared to China. PETA says around 90 percent of the world's angora comes from China, which makes it the largest producer. According to the International Wool Textile Organization (IWTO), in 2012, 4,700 tons of unwashed angora wool was produced around the world. "If shoppers are out looking for sweaters, hats or scarves this holiday shopping season and they see an angora item, chances are that angora fur came from China," said Guillermo. The soft fiber is used as an element in sweaters and other knitwear found at stores all over America. CBSNews.com reached out to several retail companies that carry angora, but none commented. Some companies like H&M have policies stating they will only use angora from humane sources. There are no animal rights laws in China that protect these rabbits in this virtually under-investigated world. PETA wants consumers to look beyond the clothing. "[Angora clothing] began as a living being on a farm in China most likely. And I don't think any consumers, most of whom are compassionate I believe, would like to have any part of that," said Guillermo. Heba Kanso is a digital reporter for CBSNews.com.